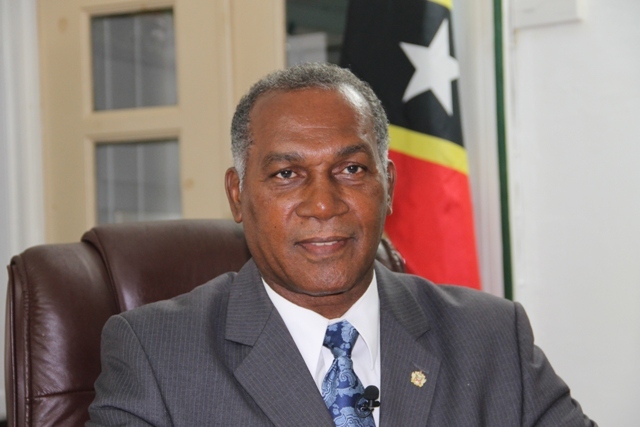 NIA CHARLESTOWN NEVIS (September 19, 2015) — The following is the full text of a message from Premier of Nevis Hon. Vance Amory, on the occasion of the 32nd Anniversary of Independence of St. Kitts and Nevis on September 19, 2015. I greet you on the occasion of the celebration of our 32nd anniversary of Independence and wish all of you, happy 32nd Independence of St. Kitts and Nevis and I do so with a great sense of pride and expectation for the future as well. This year’s celebration of independence will be done under the theme “United in Building a Stronger Nation.” This theme encapsulates so much of what is necessary for our country to reap the benefit of all of the resources at its disposal. The development of our country, depends on the quality of the people. It depends on the quality of our human resources. This requires that the future direction of this country also becomes the vision of all the people in unity, seeking the greatest good for all the people of St. Kitts and Nevis. This also presumes, that we are united in one common purpose to achieve a level of satisfaction and quality of life and high level of performance and productivity which will benefit all of the people, no matter their political, religious or social affiliation. This is the hallmark and the high point of our nations building in unity. Fellow citizens, Independence time is when we reflect on our past accomplishments and look to the future with great expectation with optimism and fortitude. It is also a time when we recognize the great sacrifices made by our forefathers and salute our national leaders for their contribution towards nation building. Our journey over the 32 years, was marked by triumph and setbacks, benefits and burdens, opportunities and challenges. As a nation, we have made far reaching advances in building a stronger, united and prosperous nation. We have renewed our faith in each other, in our country and we have proven that we are truly resilient people. Even in the face of insurmountable trials and challenges, we have remained resolute in safeguarding our independence and through it all, we have remained principled, focused and solidly united in a democratic state of St. Kitts and Nevis. Fellow citizens, as we celebrate our Independence, it is incumbent on all of us at all times, to remain steadfast in our efforts to promote peace and stability in our country. Indeed, true patriotism, that is, the love of country, means that we must also love one another and that we should motivate ourselves to channel our energies towards building a united and stronger nation, one where divisiveness, where differences among us, political differences will not take front stage. This is the spirit which we should demonstrate at all times, as we celebrate this 32nd Anniversary of our country’s Independence. We are one people, brothers and sisters united by a common resolve, in the pursuit of one common national interest. In an effort to improve our peoples’ quality of life, your government has implemented an agenda for the sustainable socio-economic transformation of our country. This we have done by creating an attractive investment climate, a growing economy, increased employment, social equality and an empowered society. It is interesting to note that year over year between 2013 and 2014, more than 400 new jobs were added to the employment list in Nevis. As a government, we will continue to improve the quality of public services which our people enjoy in Health, in Social Services and in Education. We will ensure that there is greater financial and performance accountability of our people in this country. We will eliminate waste and inefficiency in the Public Service and ensure effective implementation of all government programmes. Over the past 32 years, we have produced a wealth of human capital that continues to be our greatest national asset. It is our people, supported by quality education that will continue to be the engine of development and progress as we move into another year of independence but during this Independence celebration, we wish to celebrate all of our people who, in the interest of our country, have heeded the call for greater self-reliance, greater social discipline and creativity. I pay tribute to our entrepreneurs and farmers, those who have created wealth in the country and those who have assisted in providing quality service to our nurses, our teachers, our police and public servants, all who serve our country every day to get the best for all the people of this country. It is however, unfortunate, that we have seen a minority of our citizens engaged in serious anti-social behaviour and criminal activity. Your Government has taken steps to strengthen our police and army patrols. In an effort to curb the incidence of crime in our country, we will intensify those efforts. In that regard, we have instructed the police to increase their vigilance on anyone who is suspected to being involved in any criminal activity and to step up their investigation in the case of the recent violent crimes, towards apprehension of the suspects and bringing them to justice in due course. We cannot give full details of all the strategies which we have worked out but your Government is engaging in as many strategic efforts as we can and among these are stepping the surveillance at our ports and hot spots. We will give no quarter to these people who are thinking of destroying our peace and security. This we must stop as an independent nation. As part of this strategy and implementation of our anti-crime fighting, we have acquired state of the art x-ray equipment to inspect all packages which come into our port at Long Point. We have provided also additional supplies and equipment for the police to engage in crime fighting and we have also decided to acquire two additional sniffer dogs to assist in the detection of illegal fire arms and drugs. My fellow citizens, this is important to us because if we are not able to stamp out or at least reduce crime to a minimum, it will affect the economic development of our country and this we cannot afford even as we celebrate our 32nd Anniversary of Independence. Let us as we celebrate remember, that independence does not only offer benefits, it also imposes certain responsibilities on all of us individually and collectively as citizens of this country. The responsibility to be productive and efficient is critical to the existence of our country. The responsibility to develop and protect the moral and spiritual values that have guided us throughout our history, this is critical to the development of our independence and the responsibility to see hard work, sacrifice and the pursuit of excellence as principles, necessary for building a stronger nation is also an essential part of celebrating our independence. May we as a people, never forget how far we have travelled since our independence in 1983 and as we celebrate the 32nd Anniversary of that event, I am confident that our tomorrows will be better than our yesterdays and our todays. May God bless us all. May God bless you individually in your families and may God bless our nation. Happy Independence. Happy 32nd to all citizens of St. Kitts and Nevis.